Generations of farmers, ranchers and homeowners have relied on AgHeritage Farm Credit Services for loans and financial services. The Farm Credit System was created by the Federal Farm Loan Act of July 17, 1916, which established a credit system specifically designed to meet the needs of people involved in agriculture. We passionately strive to make a positive difference in the business affairs of our customer-owners. We will be the lender and employer of choice in our marketplace. At AgHeritage, we are looking for bright, personable and passionate people ready to roll up their sleeves and put their skills to work. 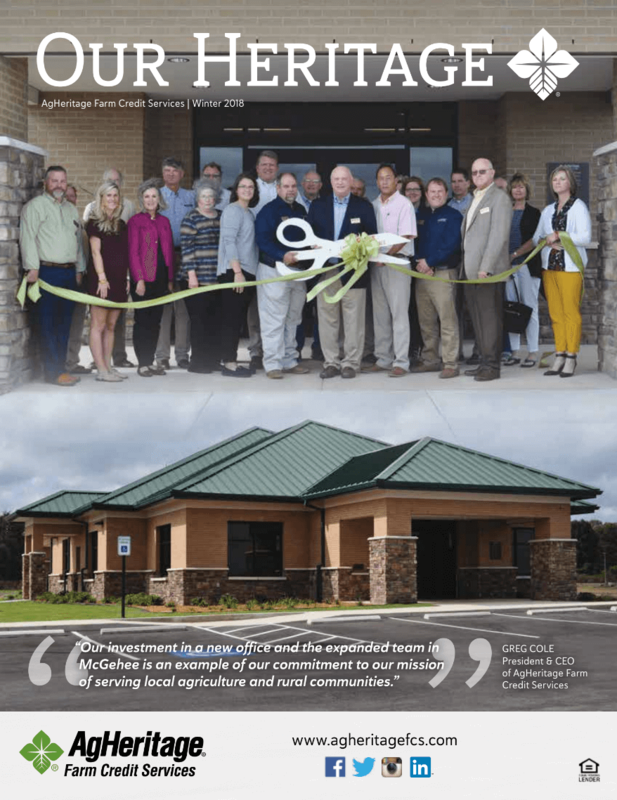 AgHeritage Farm Credit Services is a cooperative and is customer-owned. Customer-owners purchase voting stock giving them the right to participate in director elections and vote on issues influencing the operations of the association.